I had once tried making macaroni in an Indian style. 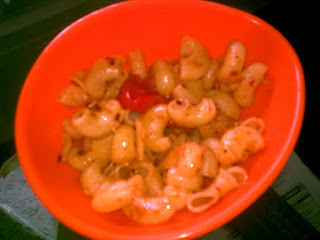 It wasn't bad but sumhow it was not upto the mark.Actually I feel that pasta is something which tastes yummy if prepared in an Italian way :)So we tried this one with olive oil and oregano seasoning..very few ingredients and yet it was amazing..
Cook the pasta in hot boiling water and then drain it and run it under cold running water so that it does not stick. 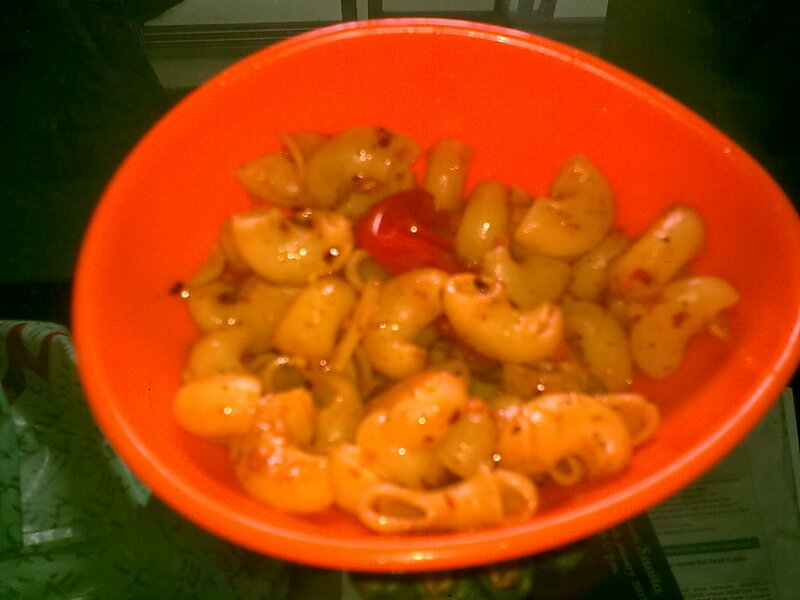 Make a fine paste of dry red chillies with minimum water. Heat olive oil in a non-stick pan. Add the mashed garlic.Saute it for about 2 min. Put in the tomatoes and the chilly paste. Add the cooked pasta,salt,dry red chilly flakes and seasoning. The seasoning consist of oregano,garlic,thyme etc..and is easily available in the market. Cover and cook for about 2-3min.